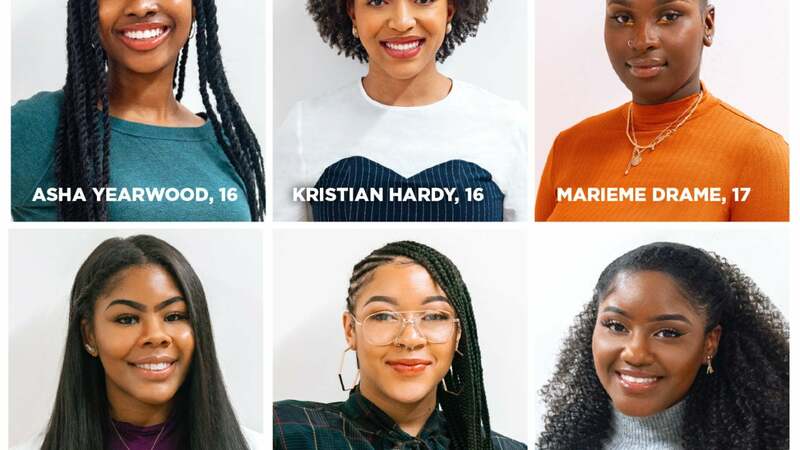 Serving and celebrating the next generation of Black women has always been a big priority for us, and that’s why we started ESSENCE Girls United, an initiative dedicated to helping girls ages 12-19 increase their academic potential, self-love and leadership skills. And we’re thrilled to team up with Ulta Beauty to discover the next wave of inspiring, passionate and creative leaders through a new mentoring program, Girls United: Beautiful Possibilities. Together we will follow six young women who will embark on a journey to reveal their personal potential. Using their creativity and love for beauty, they will learn from the best in the industry, help shape a collection for Ulta Beauty and receive $10,000 that can be used for college. After reviewing hundreds of video applications from the nationwide casting call held back in November, it’s finally time to reveal the six teens chosen to be mentored through this unique program. And you have just got to see how they reacted when they found out that they were hand-picked to be part of this special program. Grab a tissue and turn up your volume because this is an example of what happens when you push past your fears and just go for it. Starting in February, follow their journey through the program in a 6-part video series. Watch as they create an exclusive capsule collection for Ulta Beauty from product and packaging development to marketing and launch. And hear from ESSENCE and Ulta Beauty mentors, plus surprise guests like beauty influencers and brand founders. Be sure to tune in on ESSENCE.com and follow the conversation at #EssenceGirlsUnited #BeautifulPossibilities.